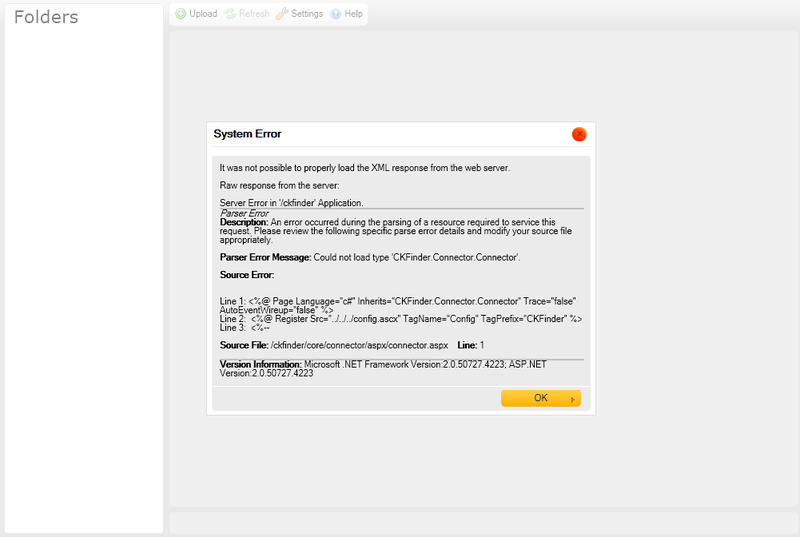 Server Error in '/ckfinder' Application. Anyway attached a snapshot of the error. Many thanks in advance, it is very important to me that this work soon.